Hi. I’ve just gone through the financial modeling template workshop and am struggling to get my custom totals for example “Origin Revenue” to work. I need to use a summary field as my financial details table do not have the categories I want so I created these in my template table. Similar to the source file, but not demonstrated in workshop. So the formula that is not working is not the '‘annual totals’ rather calculating the custom totals based on a column in the template rather than in the financial details table. 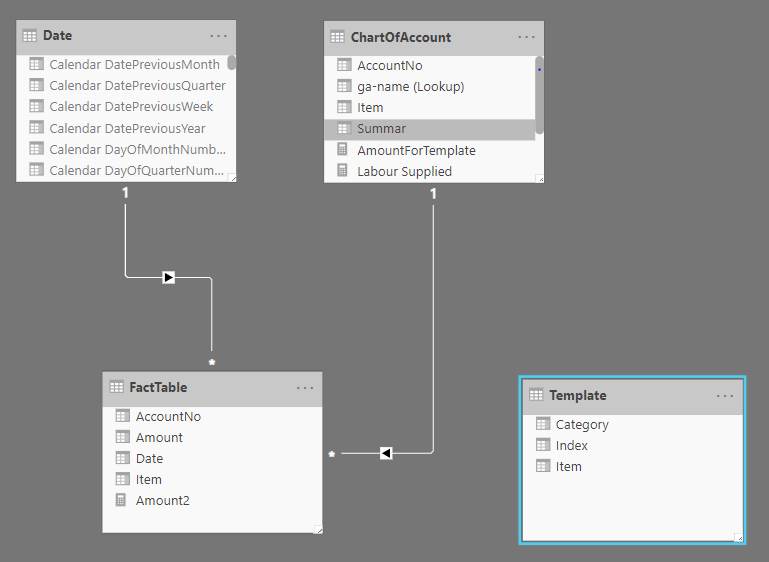 Problem is I am filtering by the template table with no relationship (see highlighted line below). I have tried to understand you text. Have created a mini model of what I think is your issue. What I see is that you only use Category and Sub-Category is the same as your Item. See if the model answer you question. If not come with some more text.